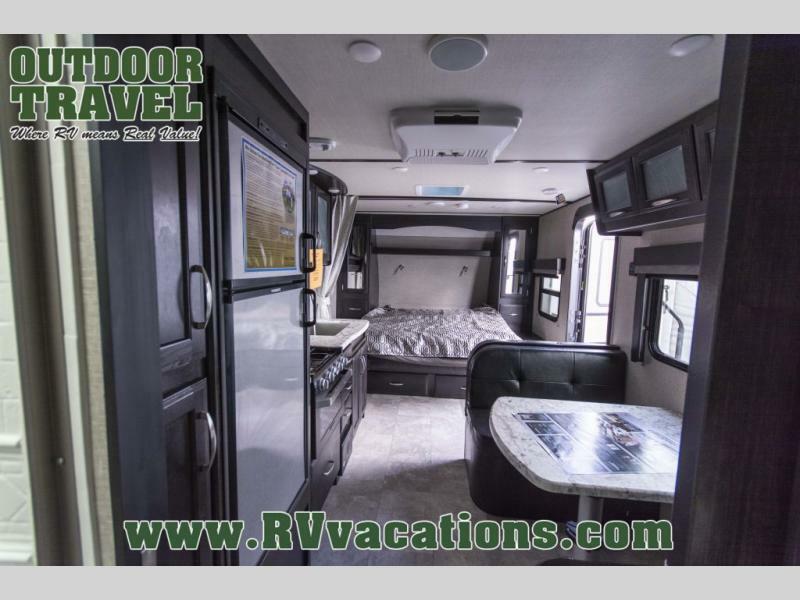 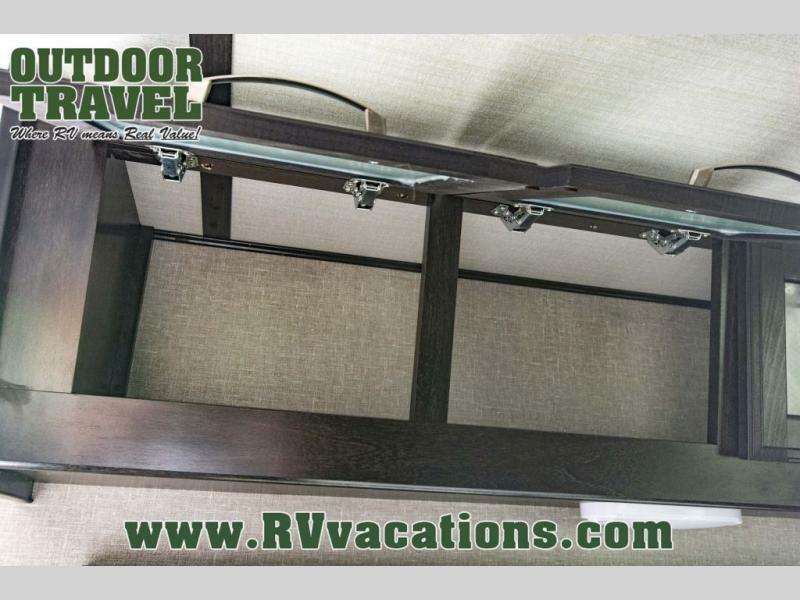 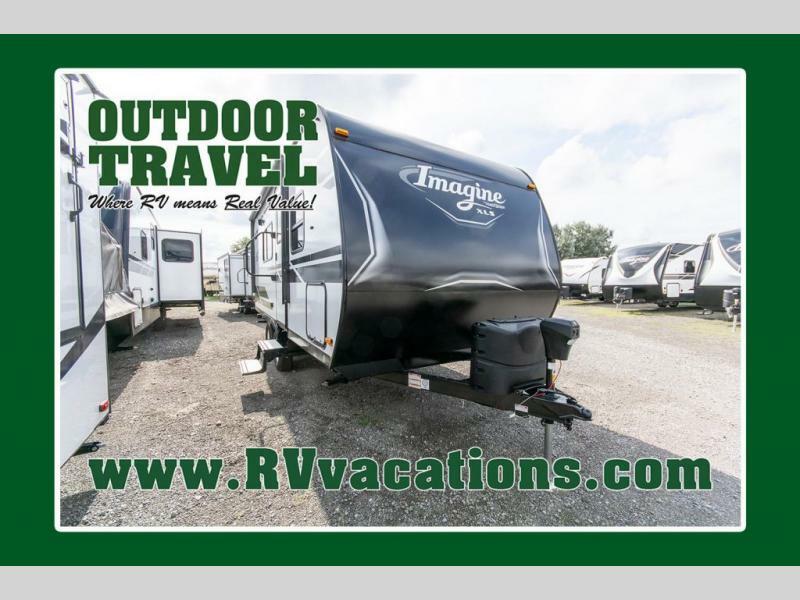 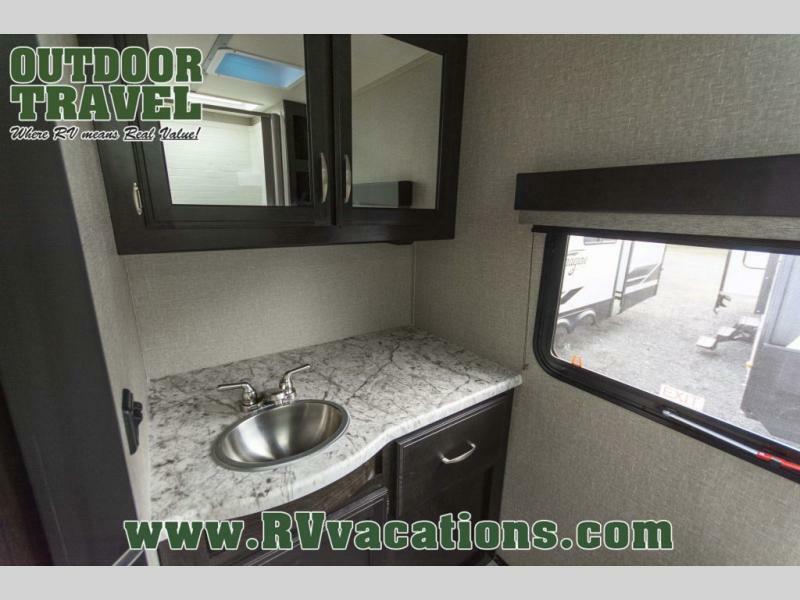 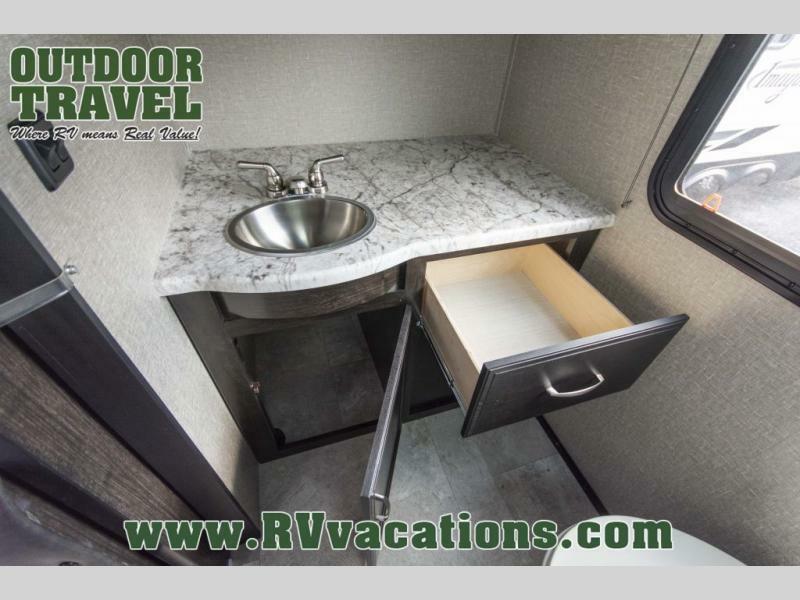 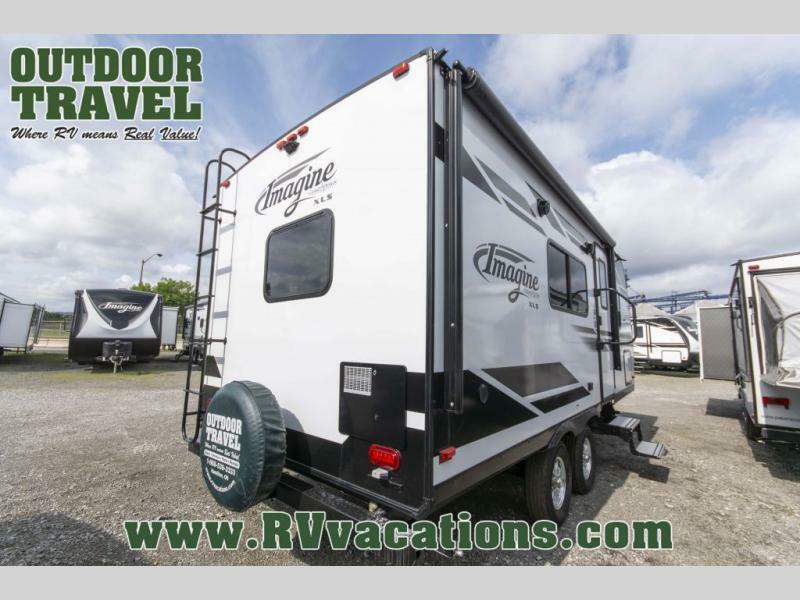 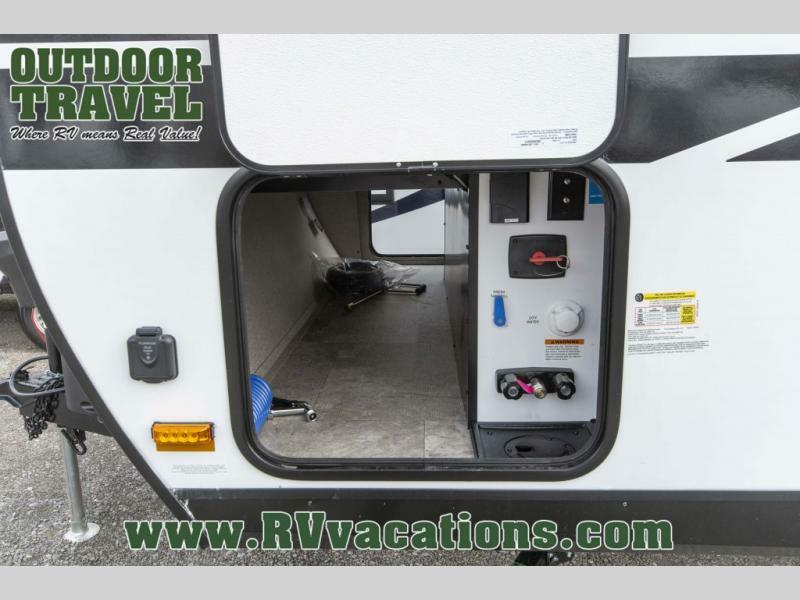 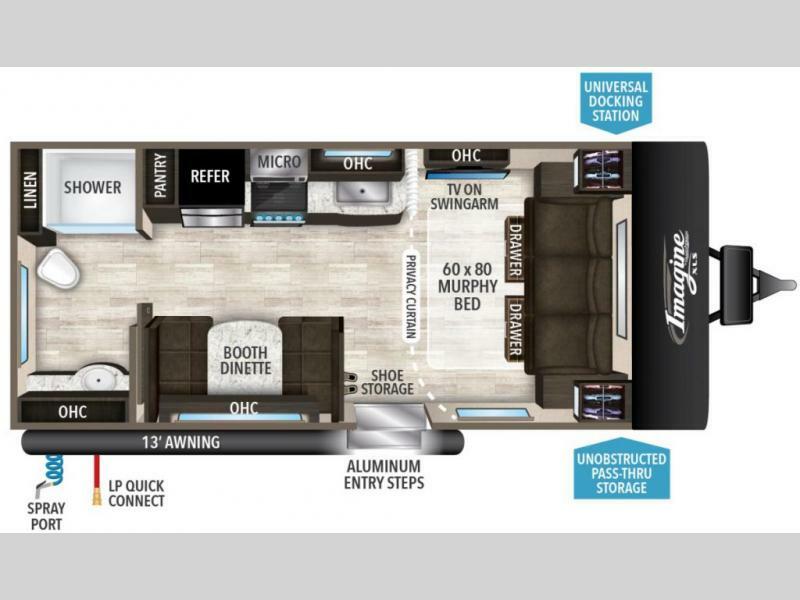 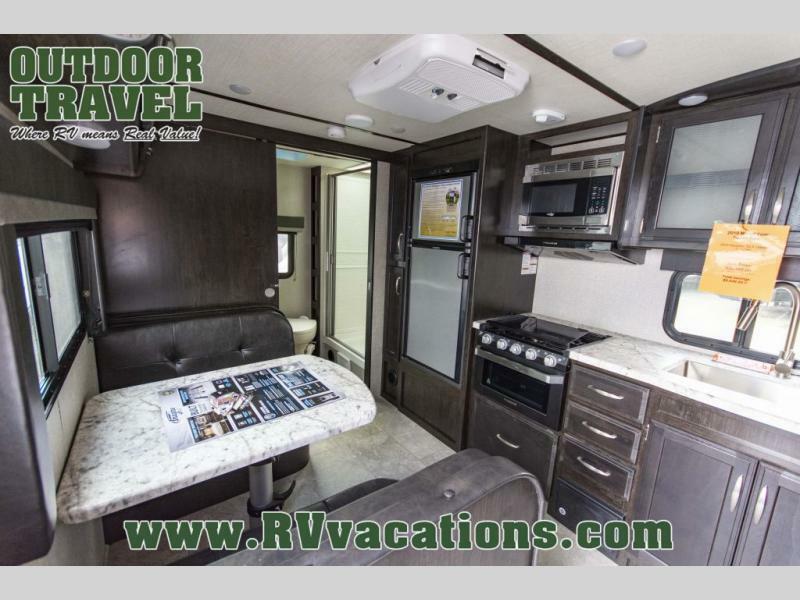 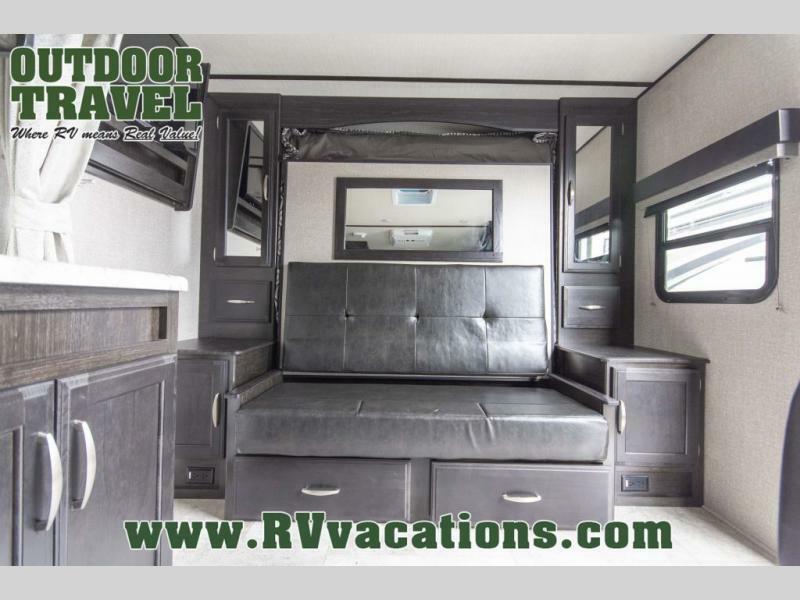 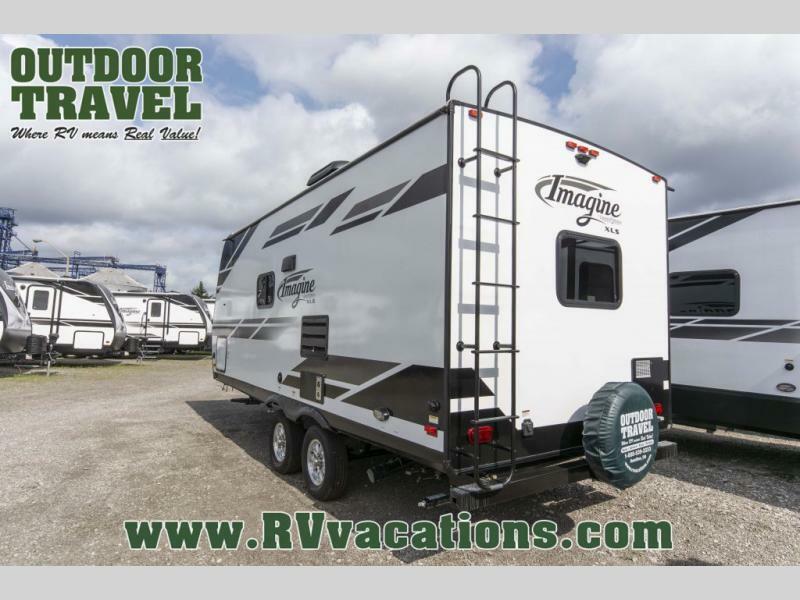 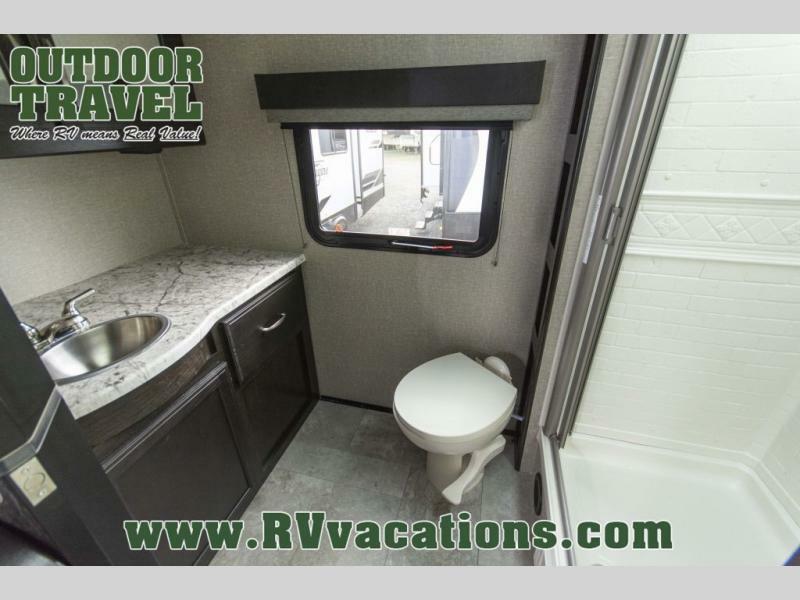 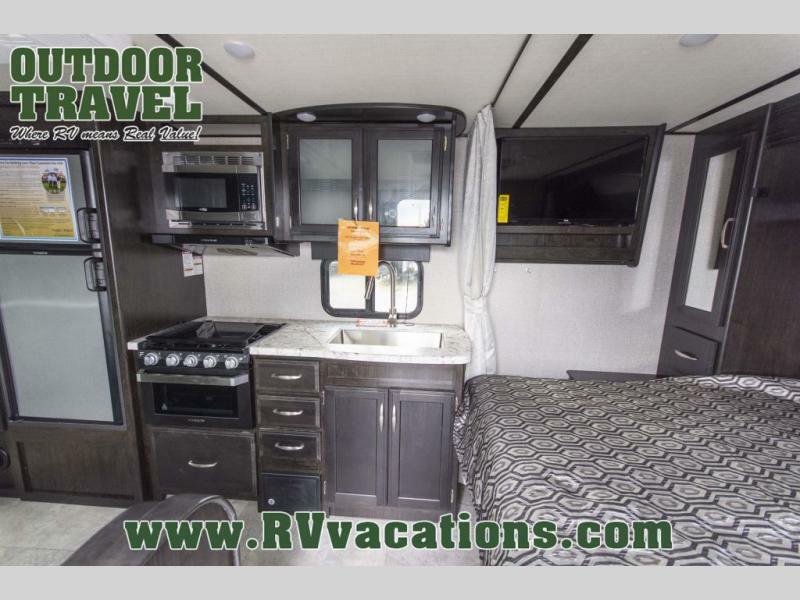 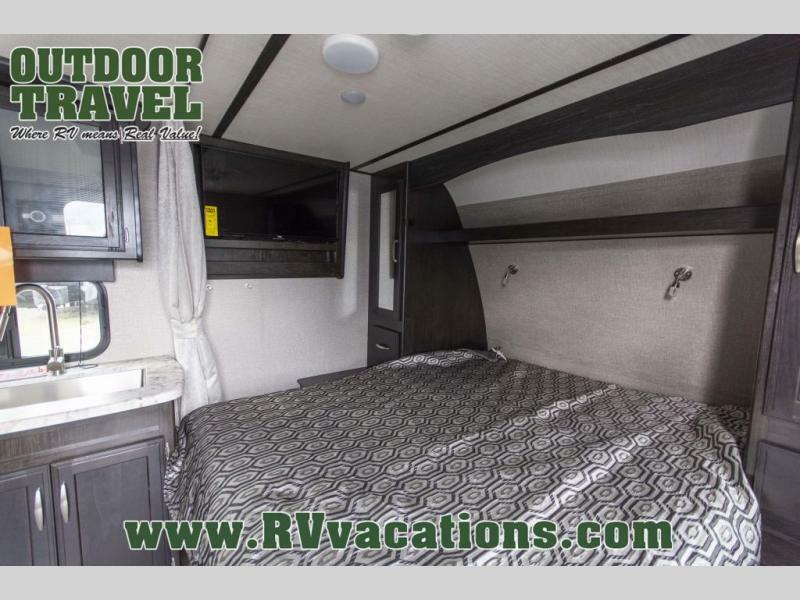 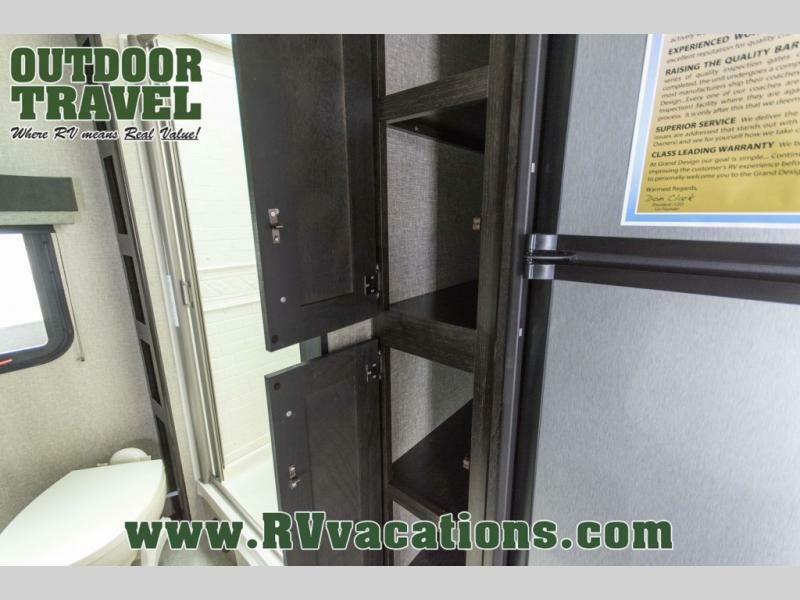 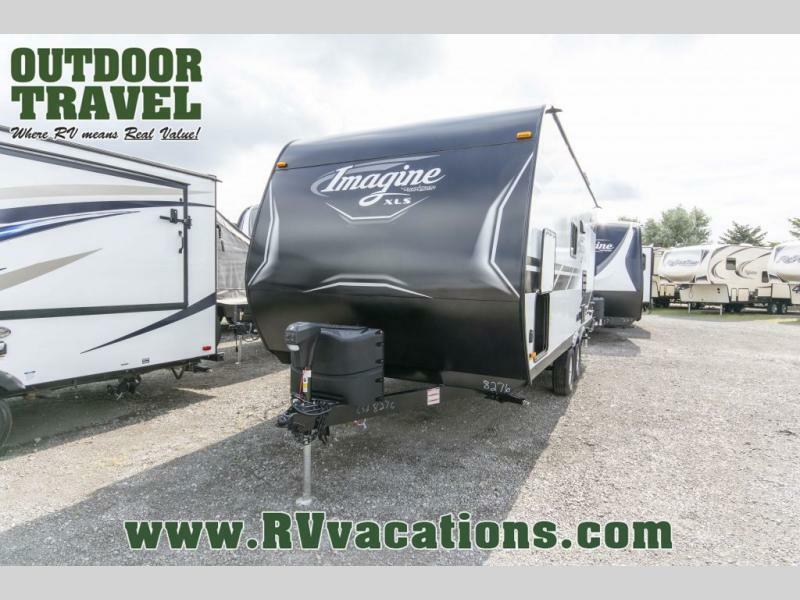 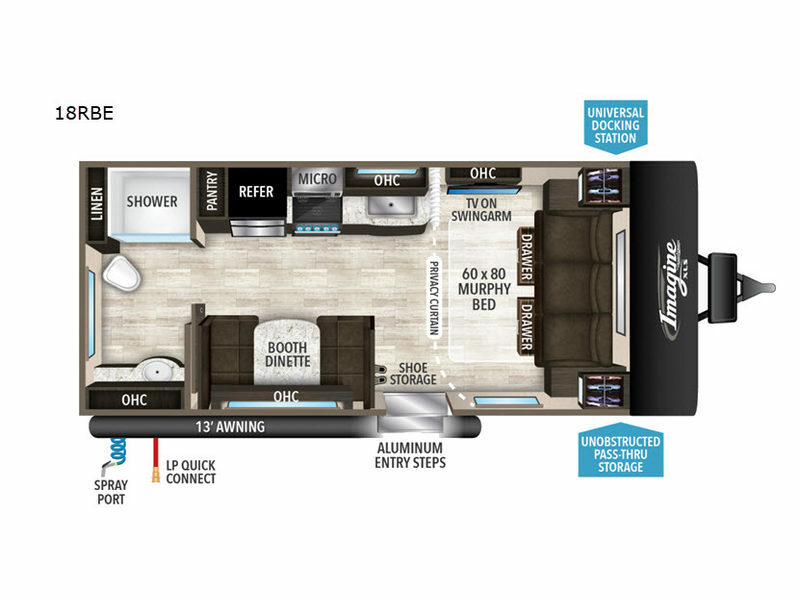 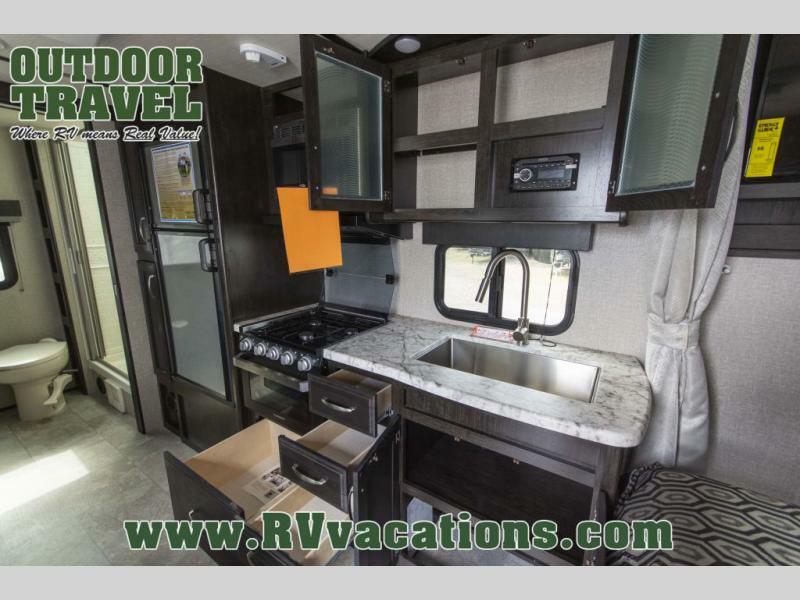 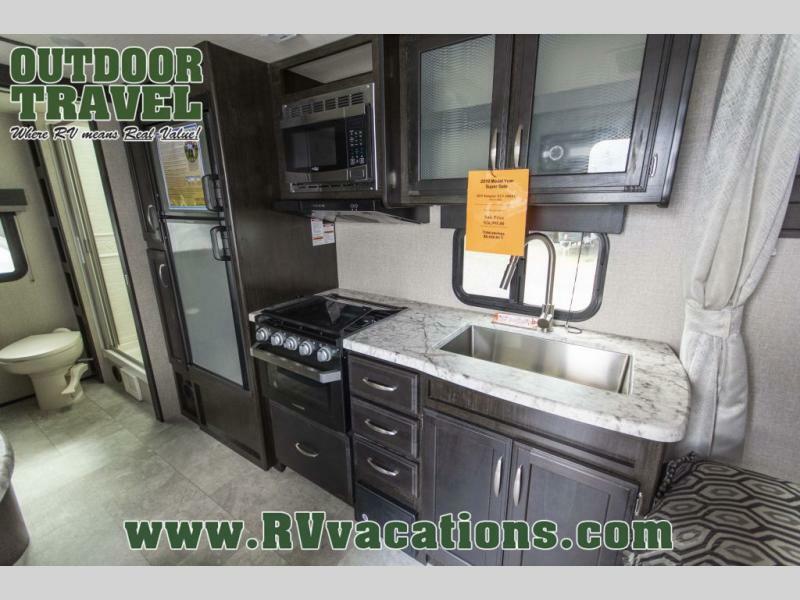 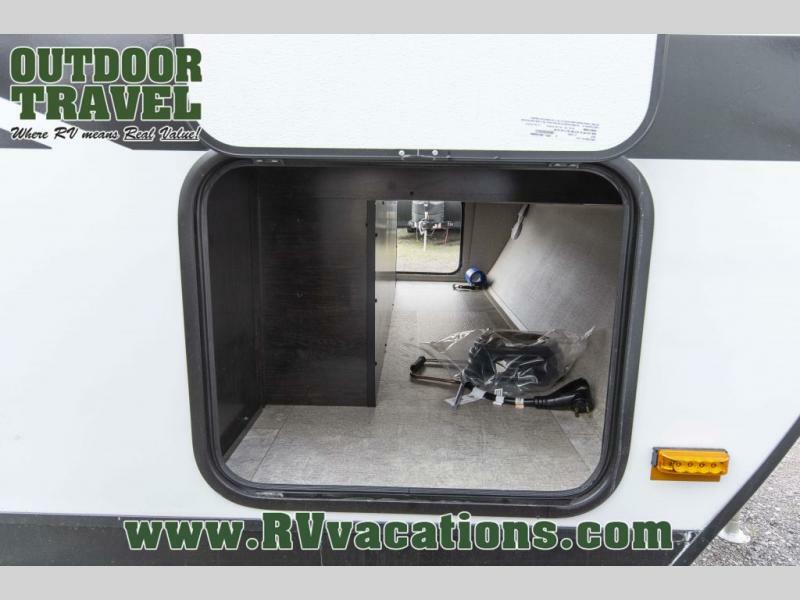 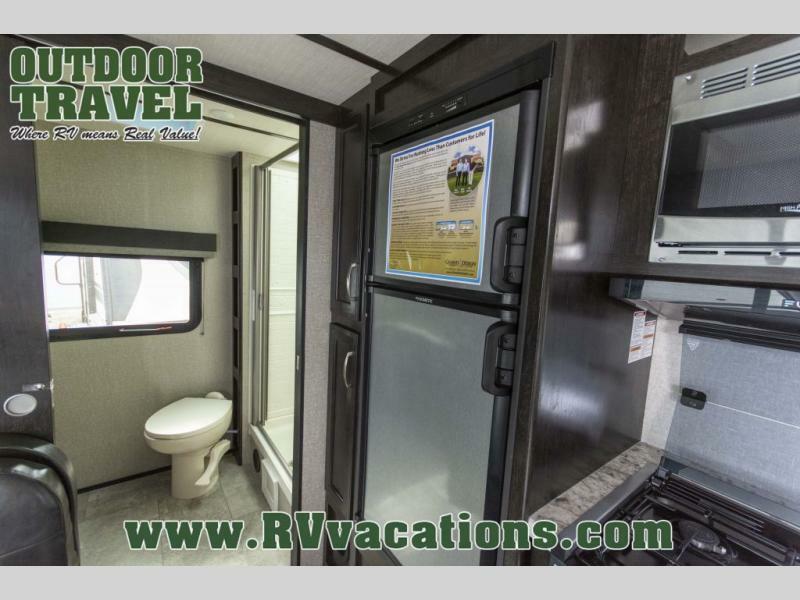 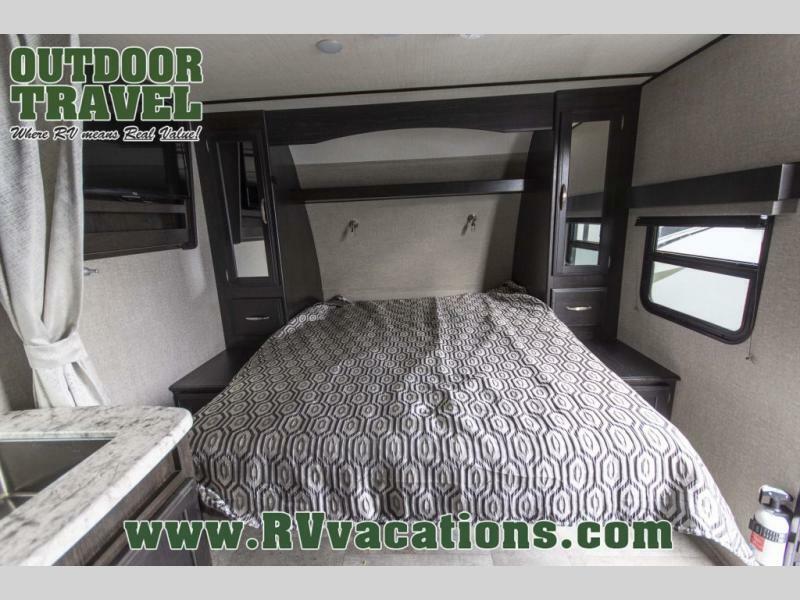 If you desire style and luxury on your camping trip then this Grand Design Imagine XLS 18RBE travel trailer is what you need! 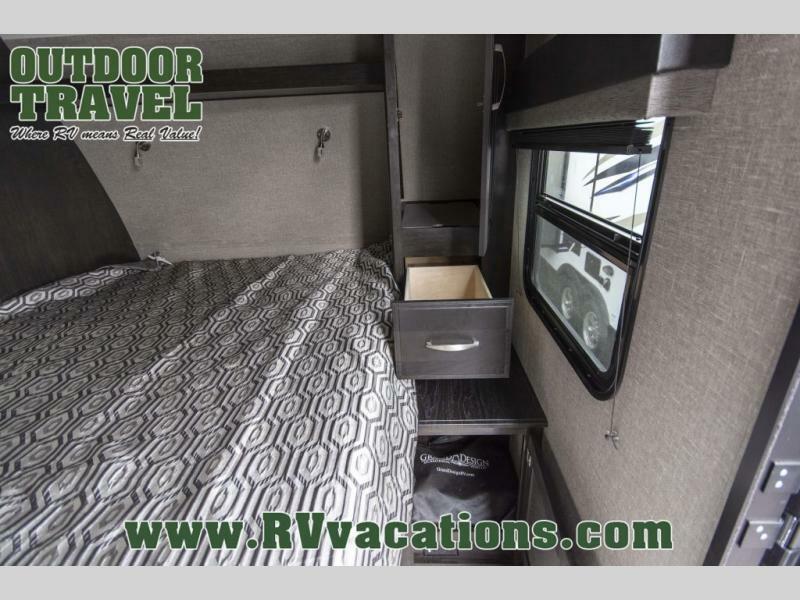 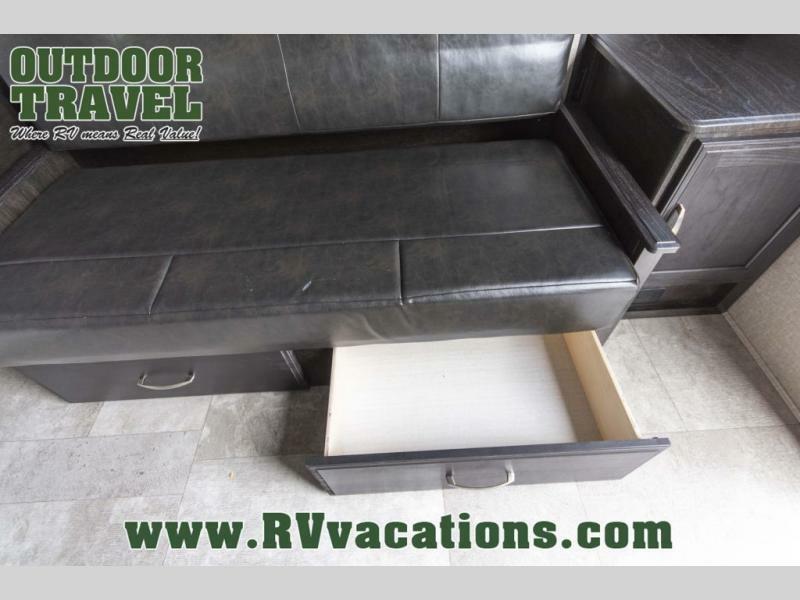 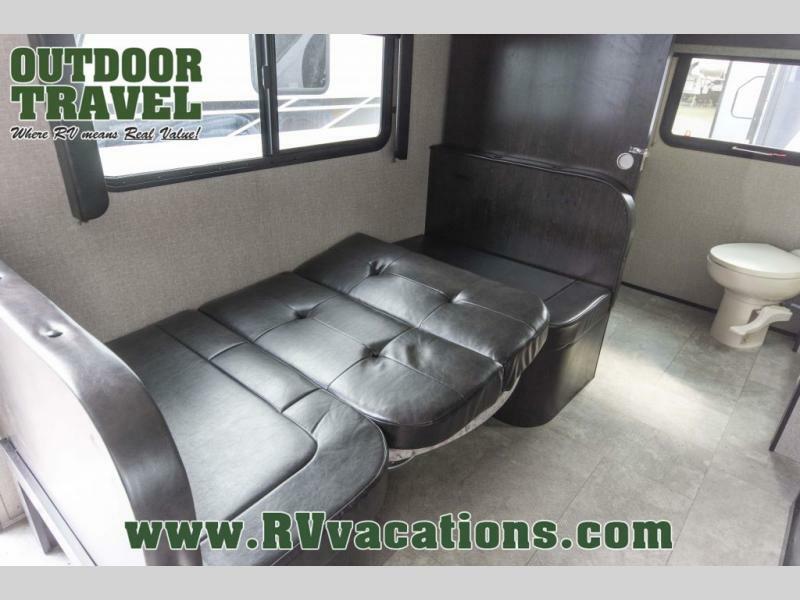 It features a Murphy bed so that you can enjoy plenty of seating/moving around space during the day while still having a bed at night. 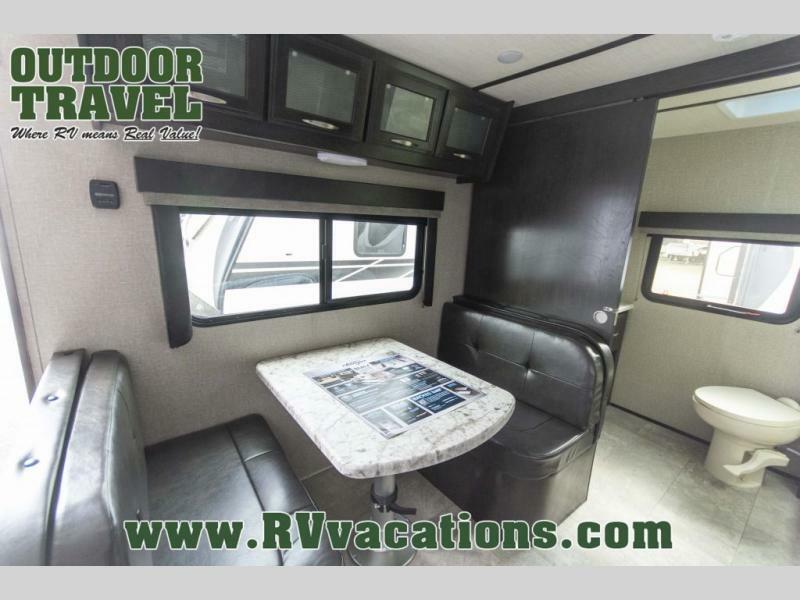 Another convenient feature is the booth dinette, you can enjoy your meals at it or transform it into another sleeping space also. 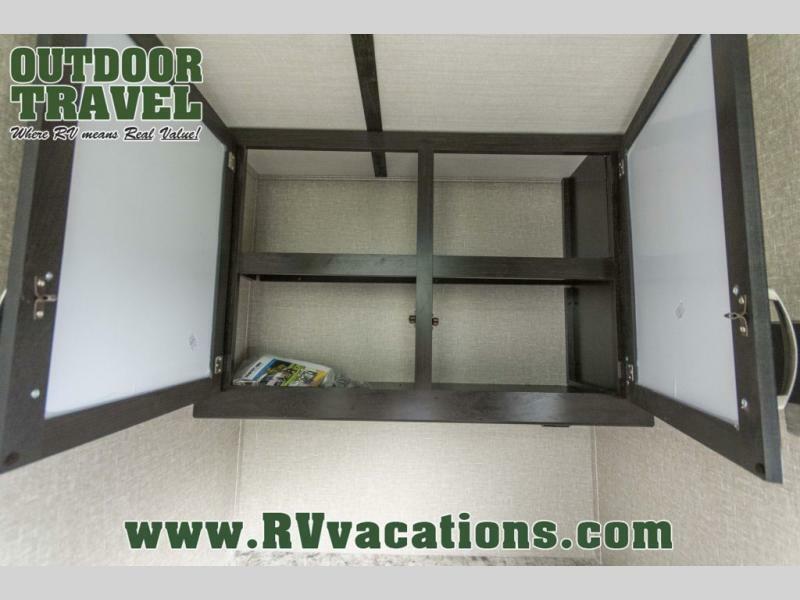 Don't worry about where you will keep your supplies because the pass-through storage has you covered! 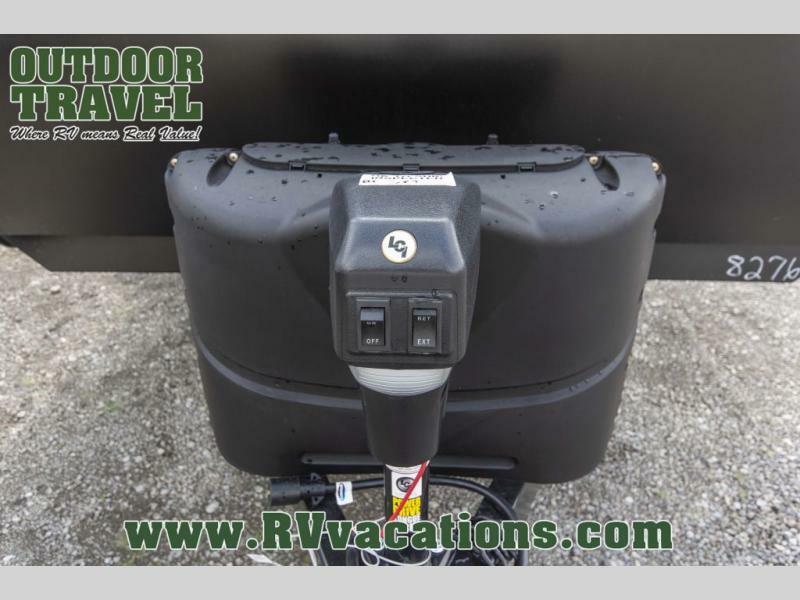 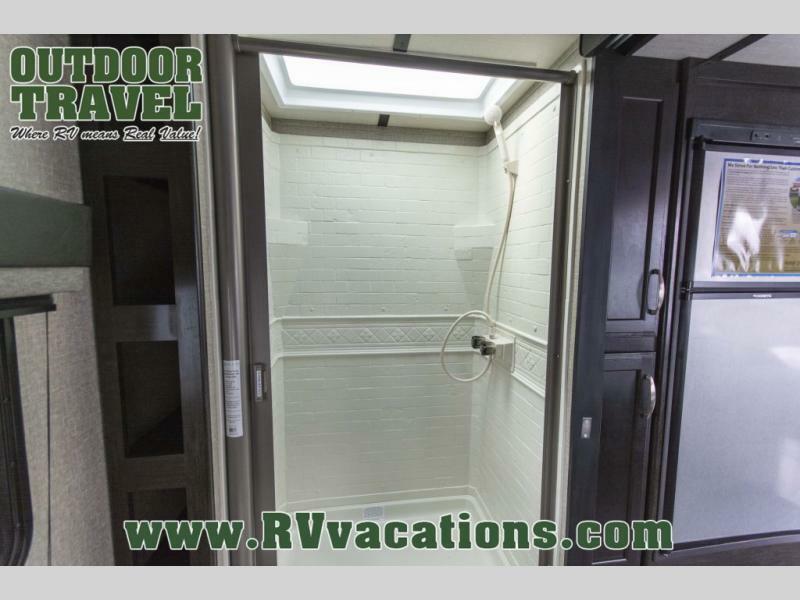 If you have kids, then you will love having the outdoor spray port to rinse them off before tracking dirt and sand into the travel trailer.